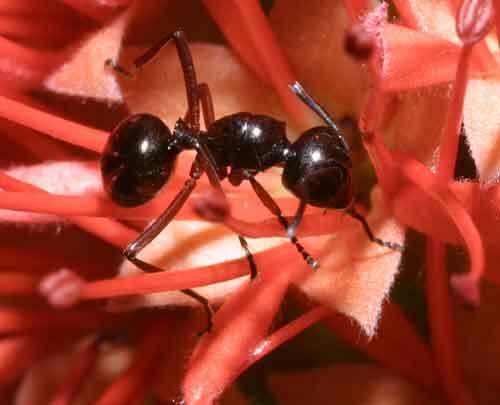 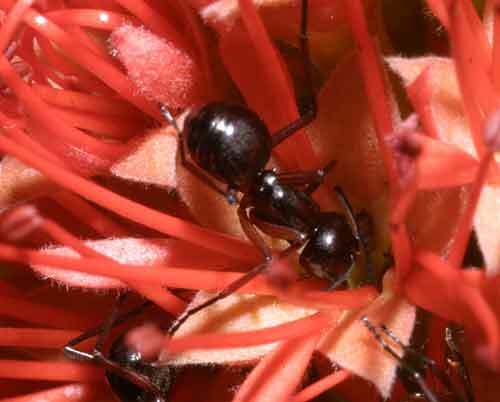 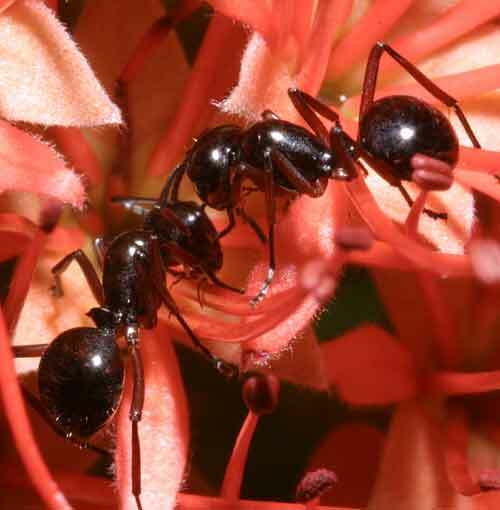 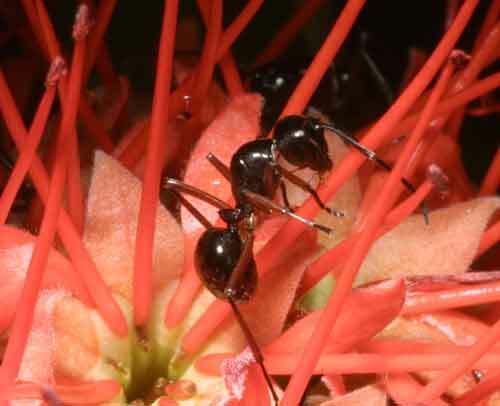 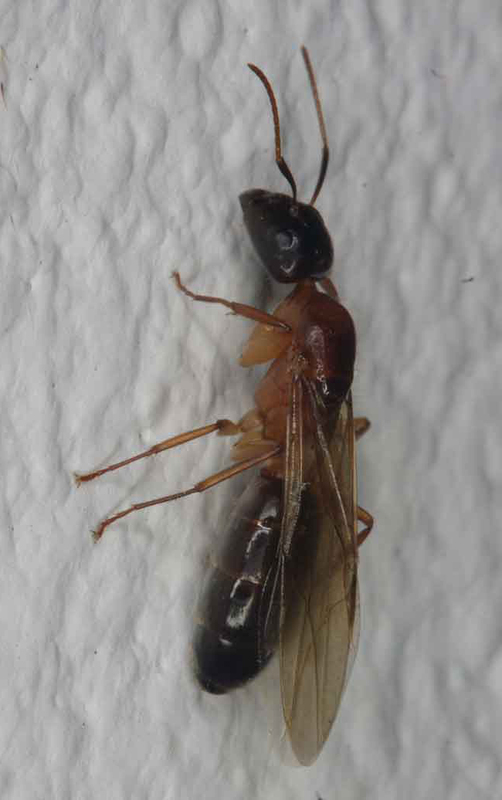 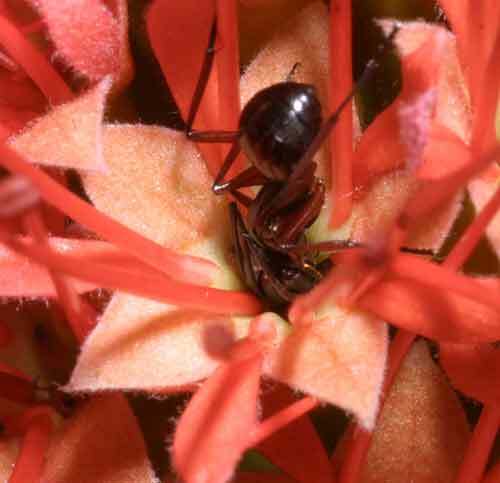 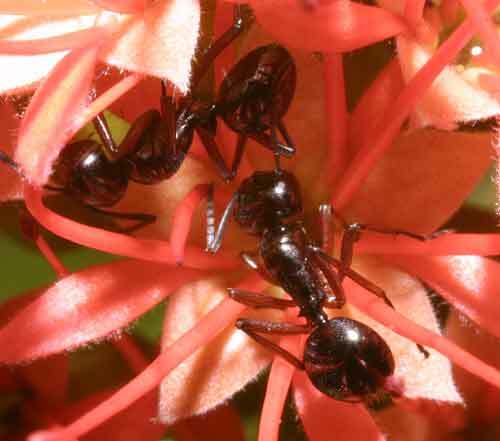 There are a few million ants in the garden. 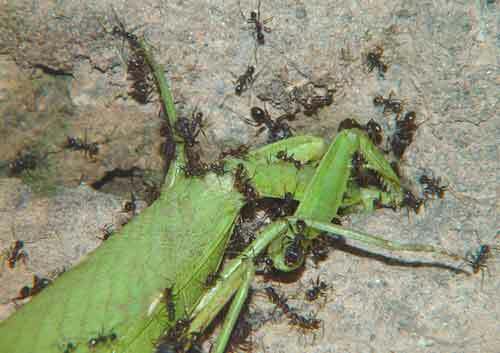 Plus another million or two in the house. 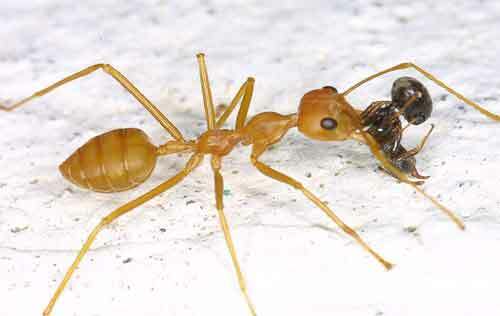 The best way to keep ants from sharing your food is to stand the base of whatever your dinner is on in water. 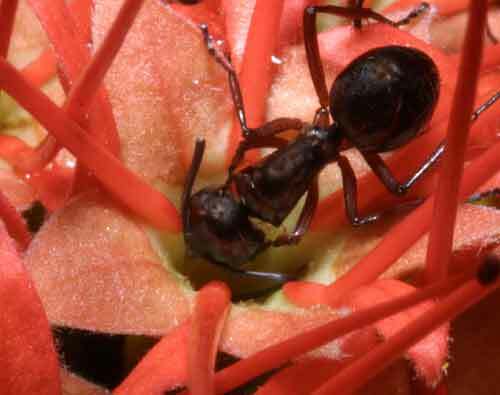 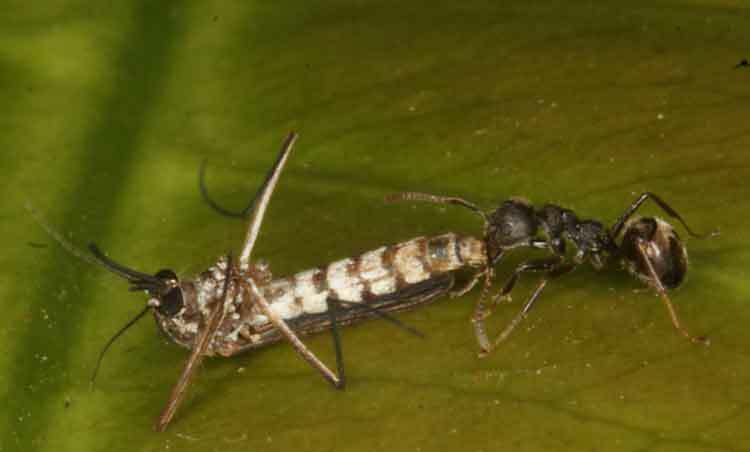 Ants are apparently unable, or at least reluctant, to swim. 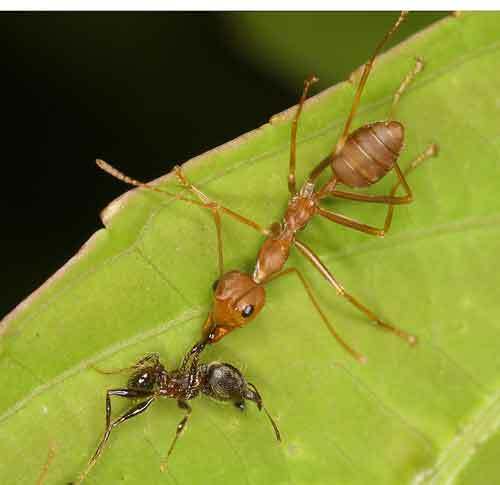 deadly combat or just passing the time of day? 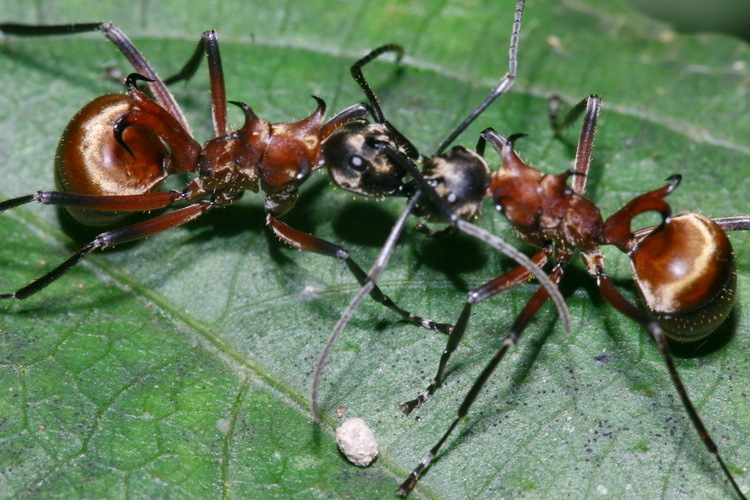 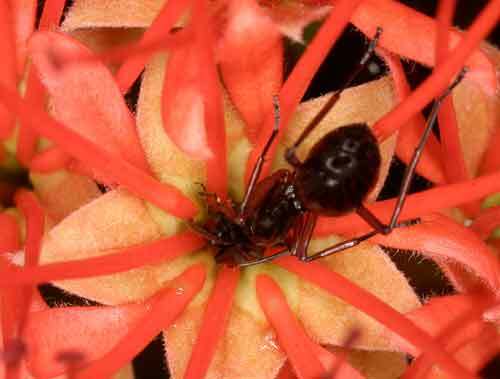 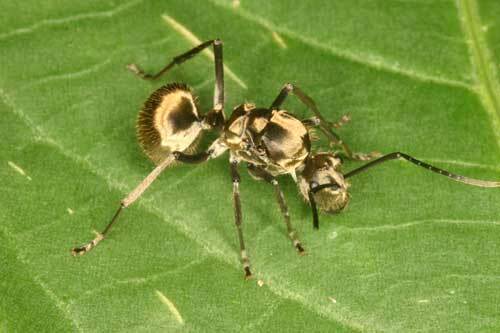 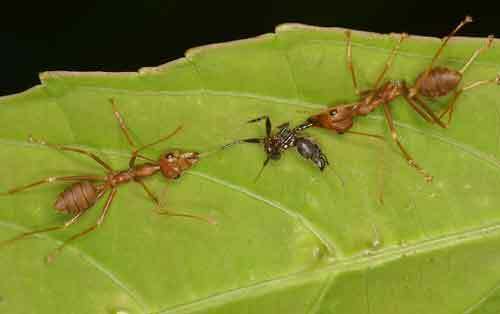 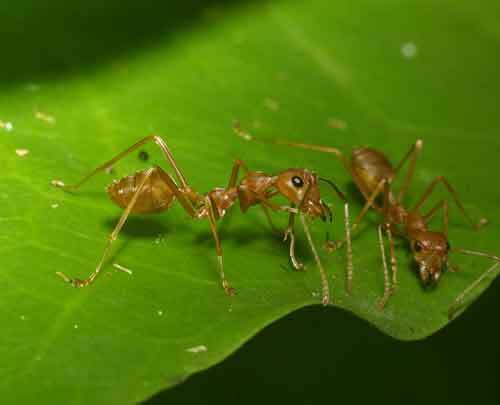 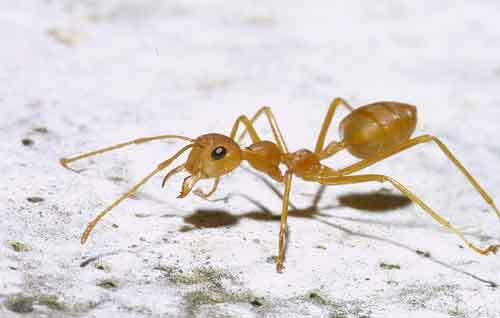 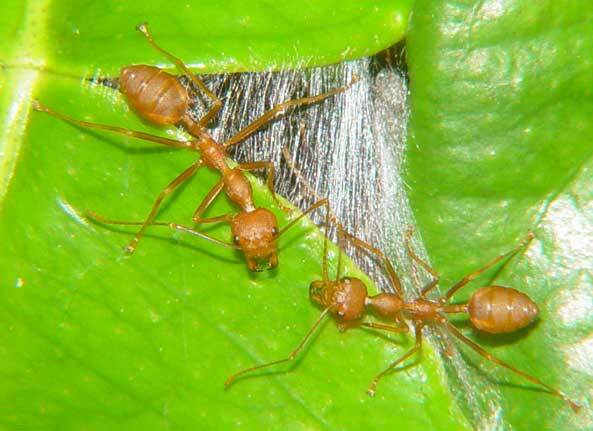 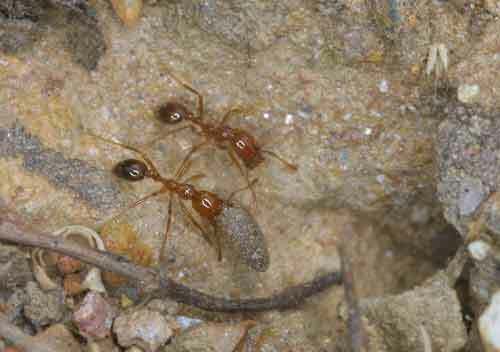 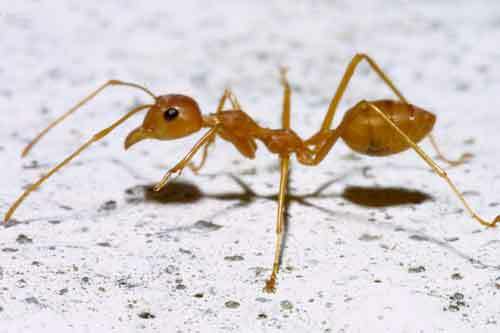 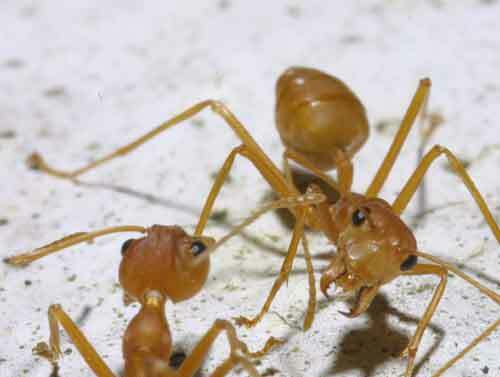 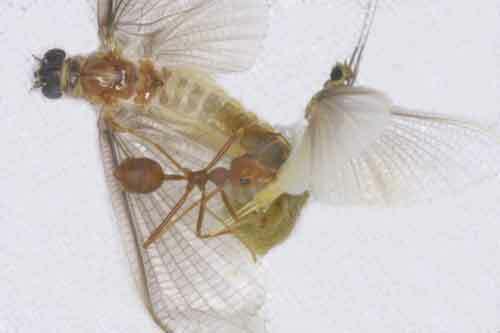 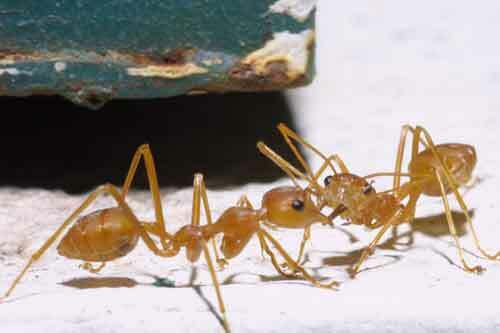 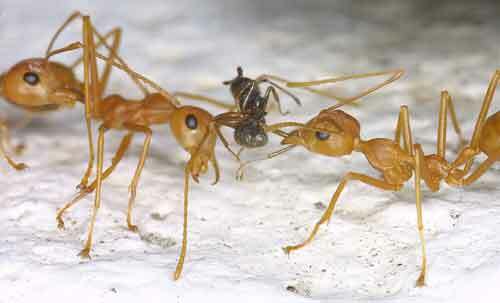 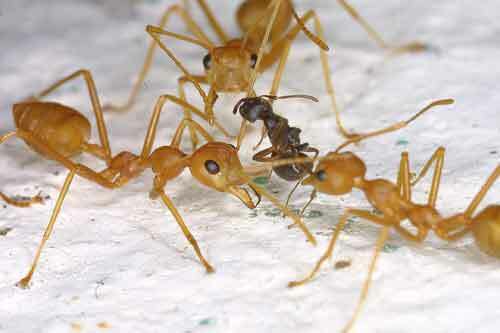 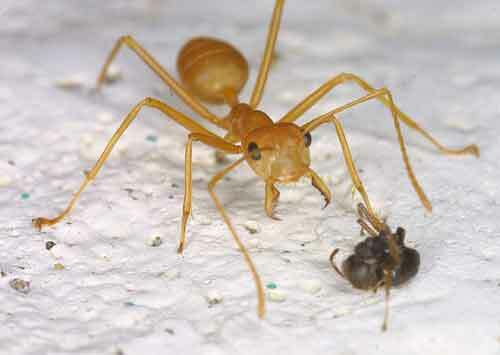 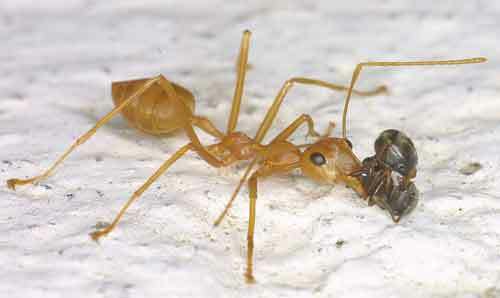 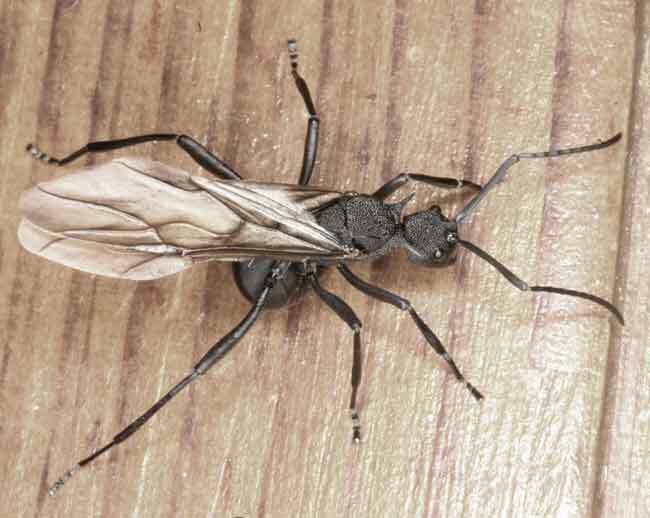 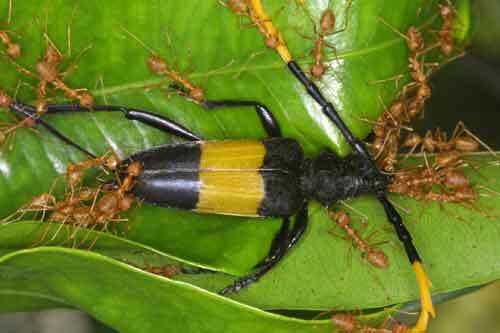 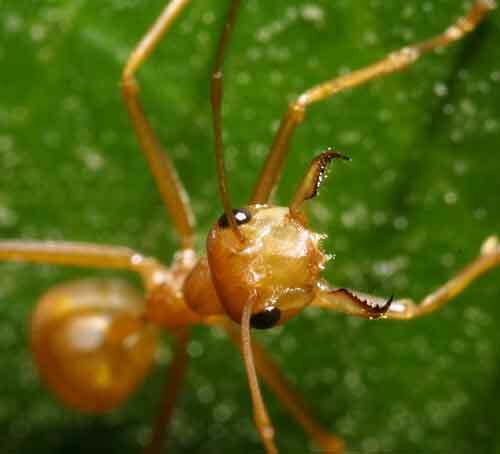 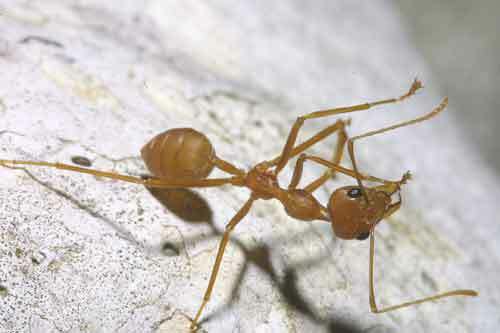 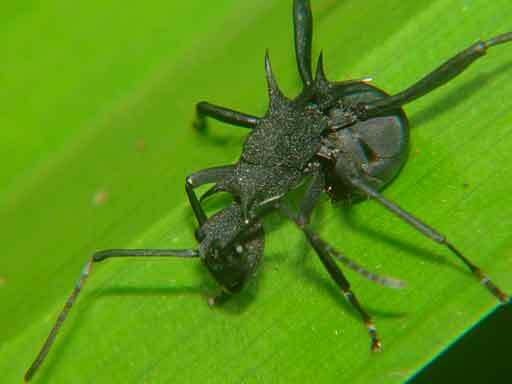 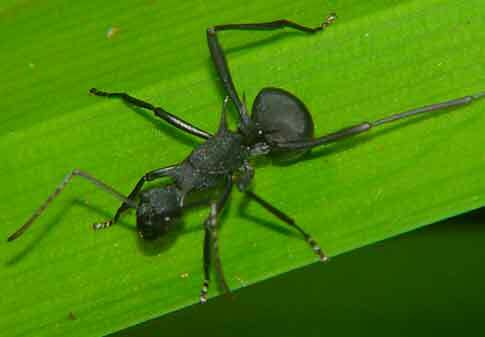 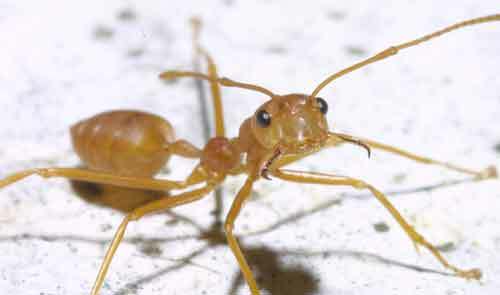 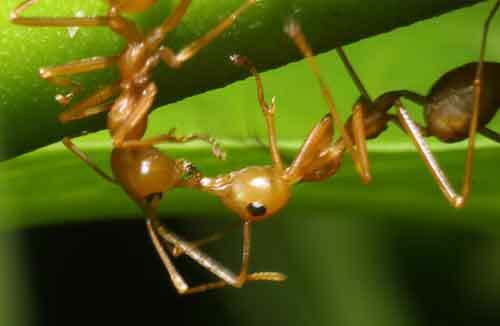 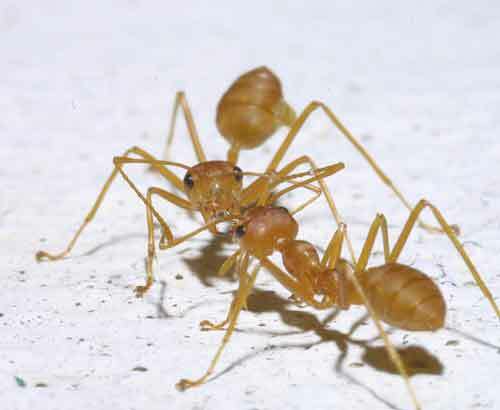 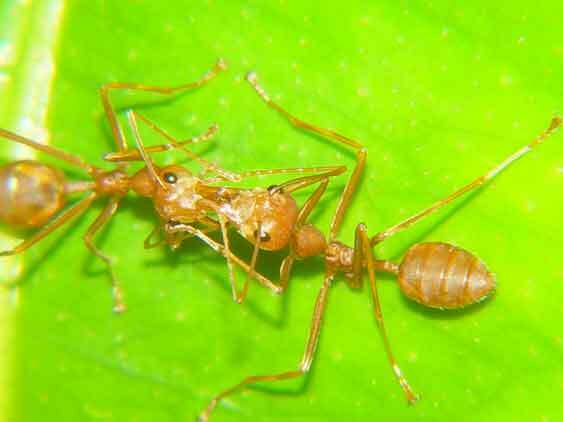 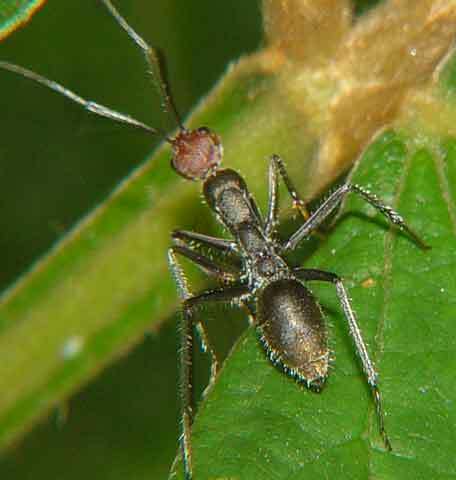 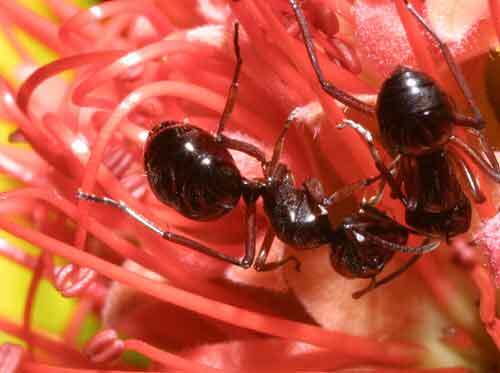 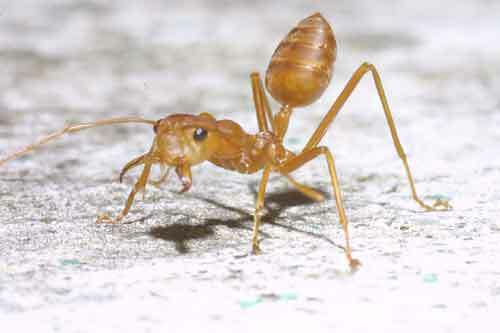 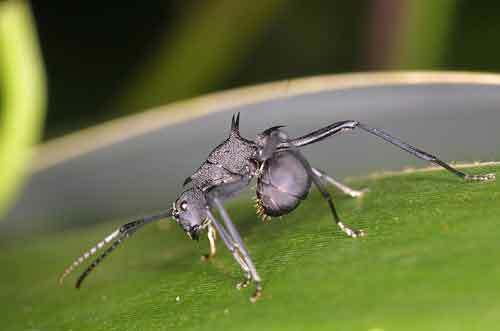 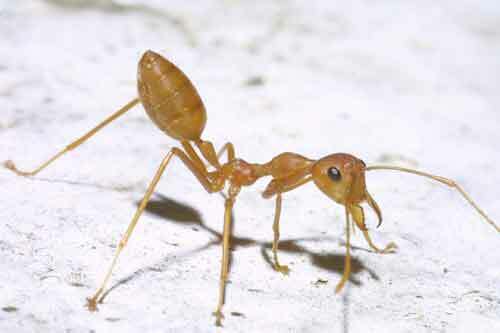 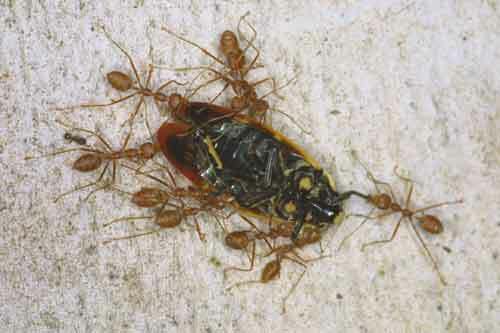 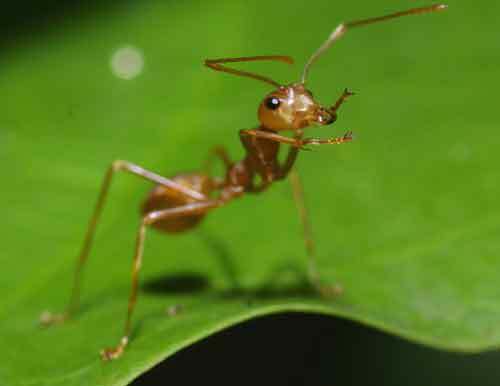 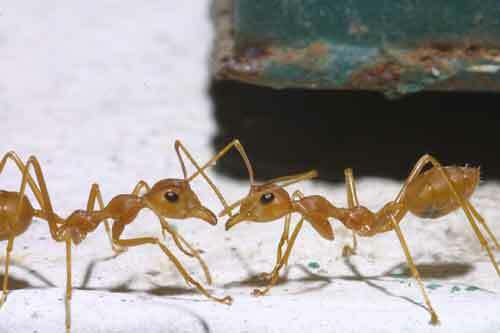 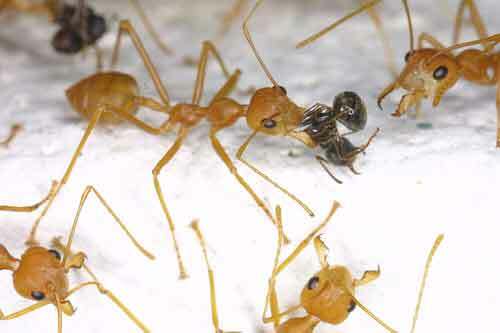 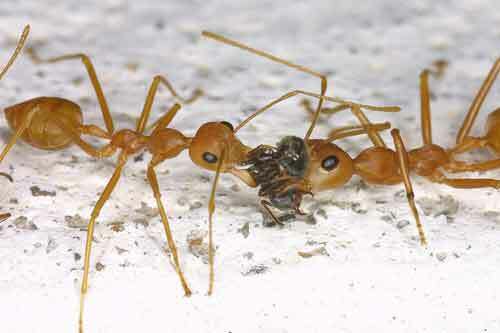 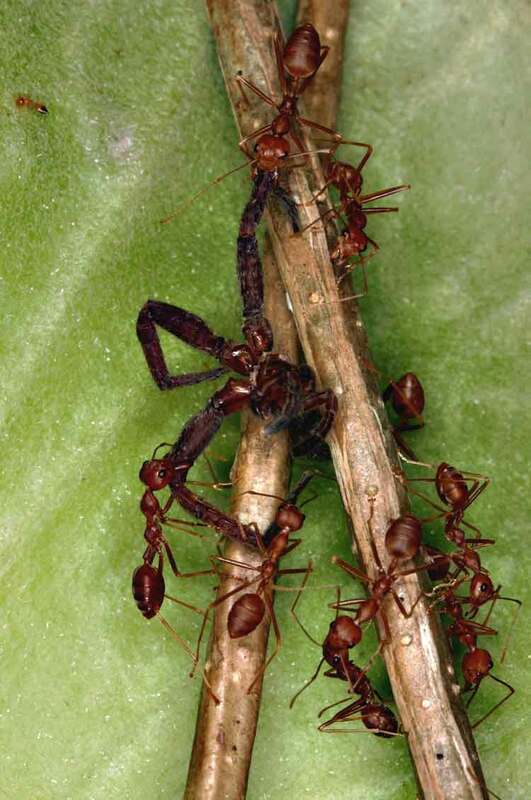 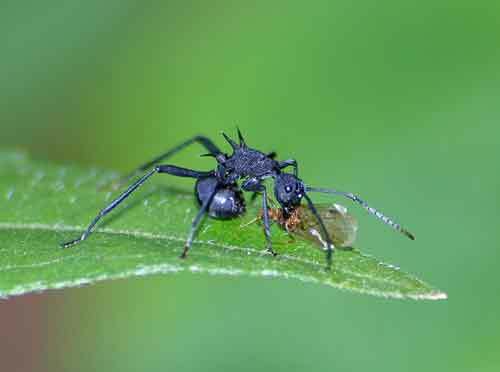 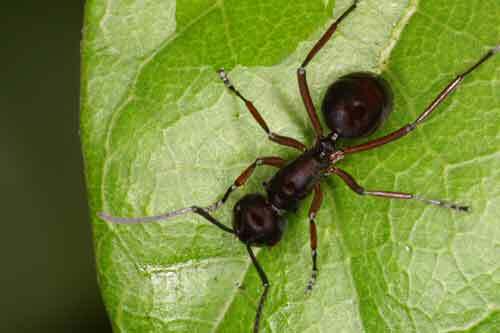 Weaver ants construct nests or shelters out of leaves. 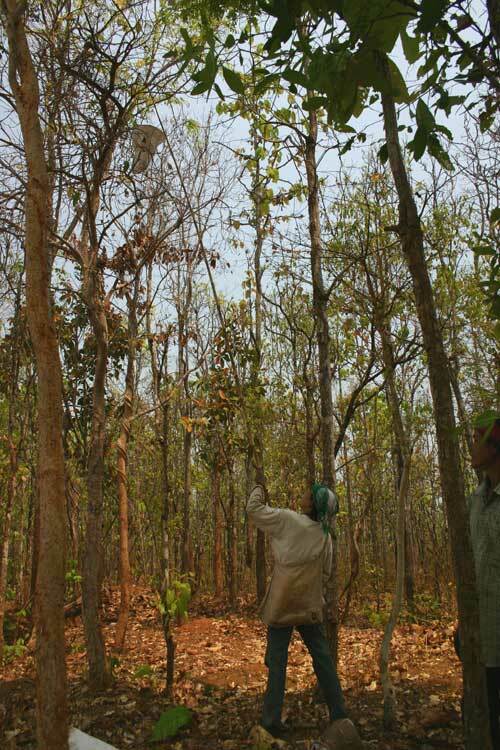 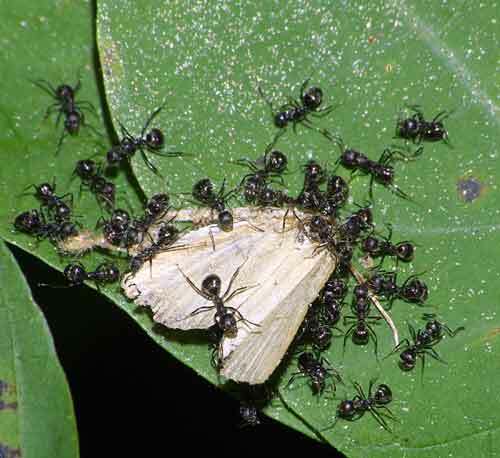 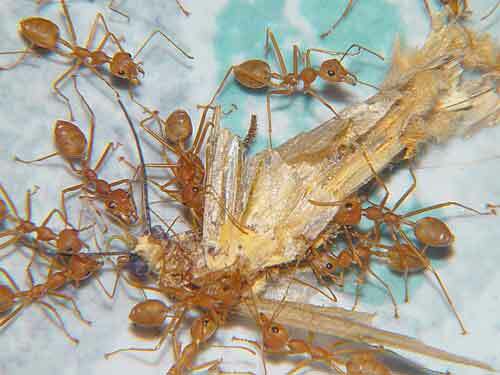 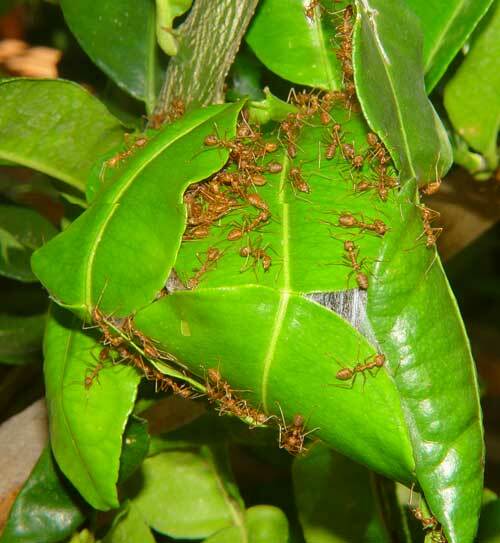 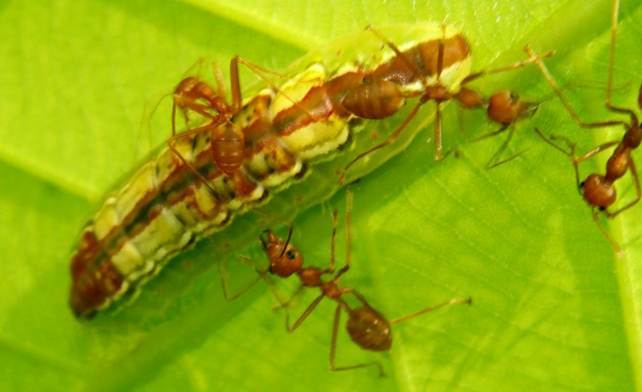 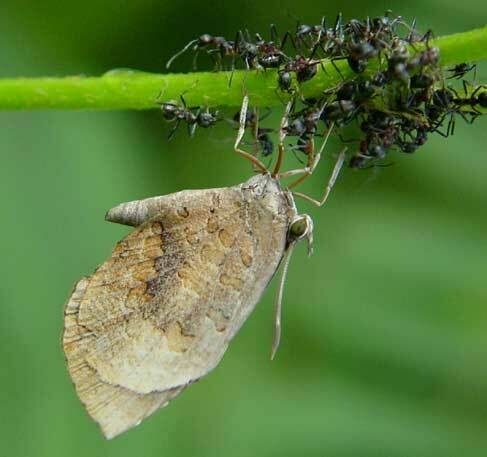 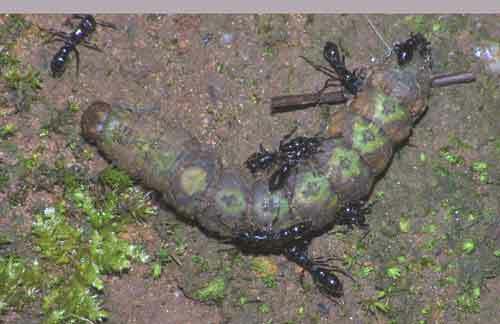 Workers pull the edges of leaves together and use silk from the larvae to stick the leaves together.